The Corners was invented in Great Britain approximately in 1880 and it quickly gained popularity. The original version is played on the 16x16 board. In Russia the more popular version is playing on the chess board (8x8) and it is this version that we offer you on our site. 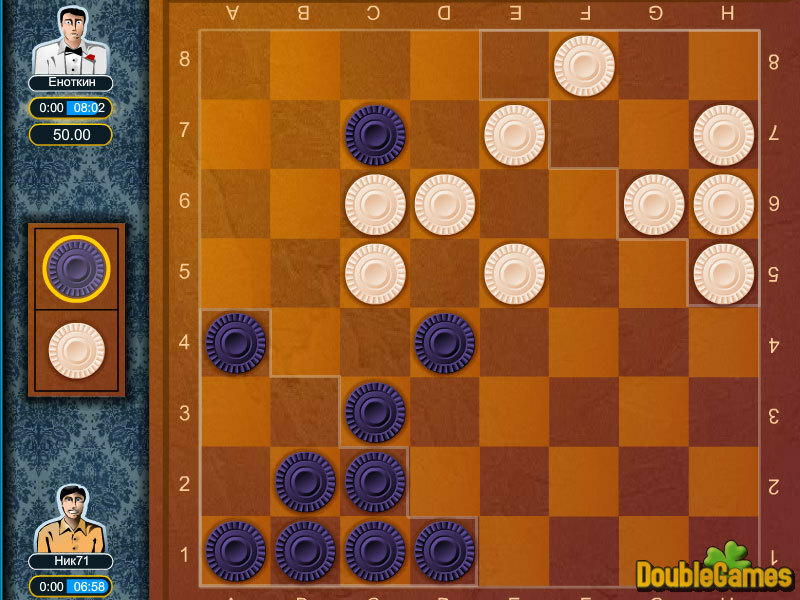 The goal of the game is to get all your checkers to the opponent's house. The player who does this first wins. 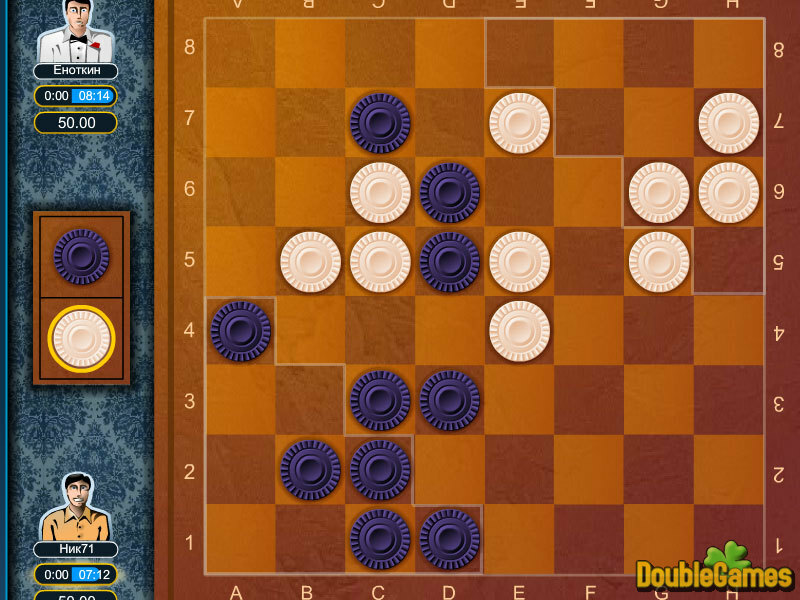 Each player can move one checker per move. 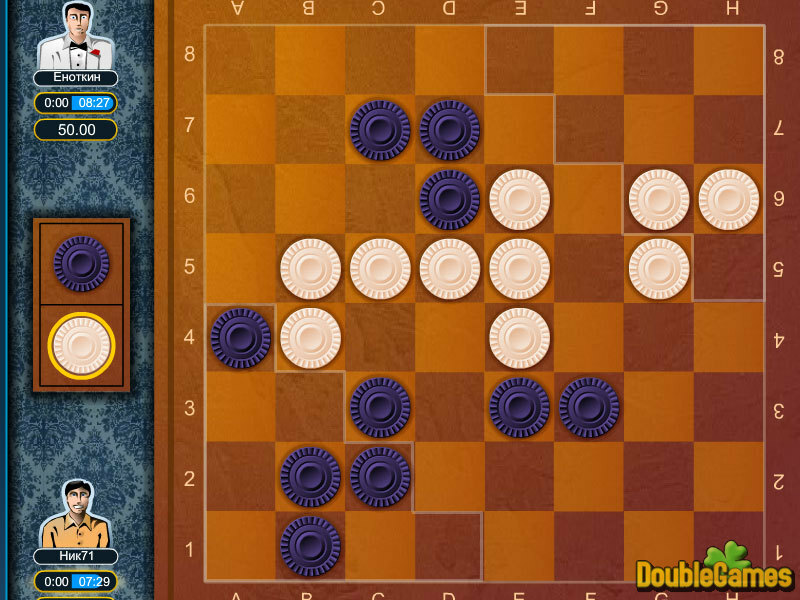 The checkers can be moved in any direction to adjacent empty square; it is possible to jump over your own and your opponent's checkers.